Codata Files is the appropriate answer to these various needs. 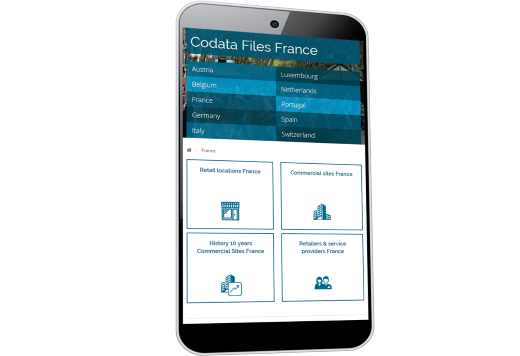 Codata Files provides you with the data file of Retail locations including all "Locations data" that is available thanks to the exhaustive censuses that are regularly carried out in the Sites perimeters defined by Codata. Comprehensive information: date of census, name of the shop, address, commune/municipality, name of the commercial Site, XY coordinates, etc. The price of these files is set by country. When you order on the Website Codata Files, the price of the selection will be automatically displayed. With Codata Files, data on Retail Locations can be downloaded. Codata Files provides you with the data file of commercial Sites including all "Sites data" that is available thanks to the exhaustive censuses that are regularly carried out in the Sites perimeters defined by Codata. Comprehensive information: identifying attributes, statistics on the distribution of shops, occupancy and vacancy statistics of locations, Sites features (for shopping centres; subject to availability), demographic and economic statistics, XY coordinates of the Site centre, coordinates of the Site perimeter, etc. With Codata Files, data on commercial Sites can be downloaded. 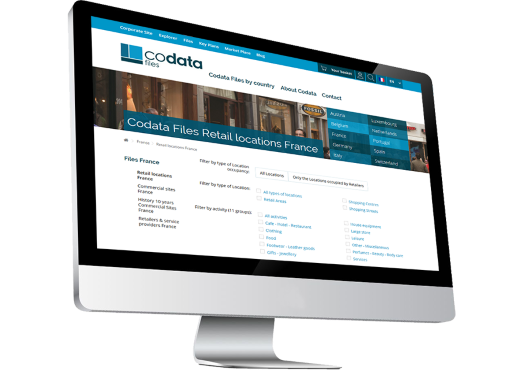 Codata Files provides data files with data on the history of commercial Sites over 10 years for the vacancy rates, the Retailers occupancy rates or even for the evolution of activities according to Codata list of activities (11 groups). These data files offer a complete overview from the retail monitoring set up by Codata for nearly 20 years. This data is only available for two countries: France and Belgium. The data is adapted to your needs. Comprehensive information depending on the historical file you have selected: identifying attributes, distribution statistics of shops, occupancy and vacancy statistics of locations, characteristics of Sites, demographic statistics, etc. 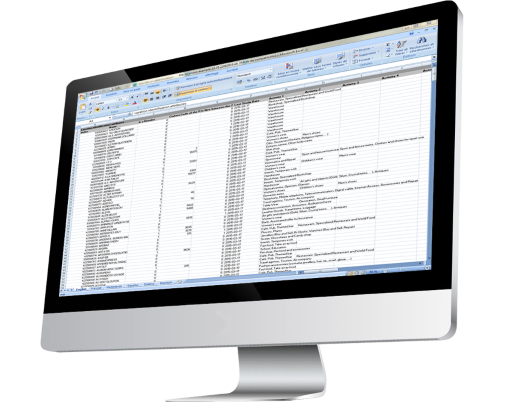 Consult an instance of a history data file in XLS format for the vacancy rates, the Retailers occupancy rates or for the activities. With Codata Files, a 10-year history of commercial Sites is available in a few clicks. 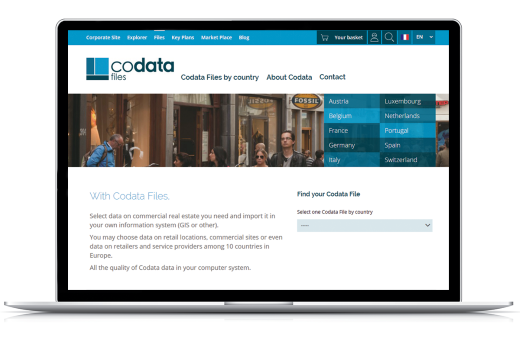 Codata Files provides you with the data file of Retailers including all "Retailers data" that is available thanks to the exhaustive censuses regularly carried out by Codata. Comprehensive information: identifying attributes, development criteria, establishment statistics, etc. Contact information by country: addresses of the head offices, the names of contacts and their contact details, including direct phone numbers and email addresses. With Codata Files, data on Retailers can be downloaded. 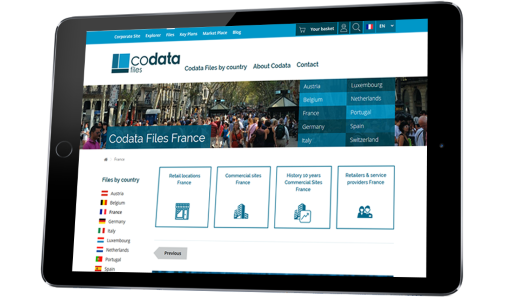 Codata Files provides you with the data file of service providers (lessors, advisors and experts) including all "service providers data" that is available thanks to the exhaustive censuses that are regularly carried out in the Sites perimeters defined by Codata. With Codata Files, data on commercial Service Providers can be downloaded. Codata Files is an e-commerce service on the Website Codata Files with the detail of each available file for sale. All details of the ordering process are described on the site. Each order is checked before it is sent. In general, the delivery takes place within 2 business days after reception of your order and its payment.